Fits medium and large devices only. As fitted standard on all devices. 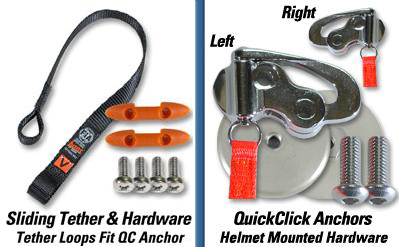 HANS Quick Click Anchors mount on the helmet providing easier access to the tethers. This is a popular upgrade and is compatible with all HANS Devices. 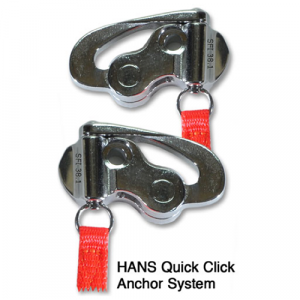 Only HANS Quick Click Tethers are compatible with the HANS Quick Click Anchors. Gary’s Speed Shop is a HANS Factory Representative for this SFI Hans Recertification Program. HANS Devices must be recertified every five years. Cost is $25.00 plus a flat $20.00 shipping and handling fee plus the cost of the new tether, if needed. Devices passing inspection will receive a new SFI 38.1 label punched with the inspection date. 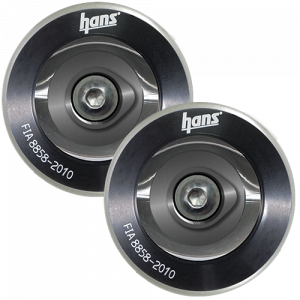 We have the quickest turnaround time in the industry for HANS recertifications. Many times we can ship back your device the same day we receive it! 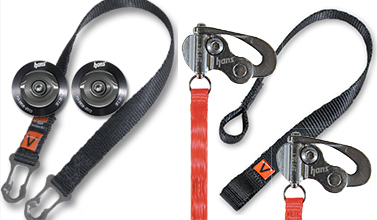 Tether upgrade kits to convert your HANS device to sliding tethers. 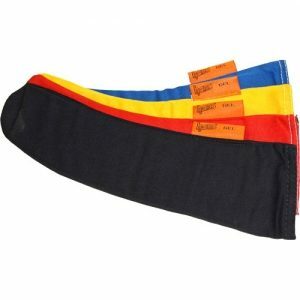 Available to fit Post Anchors and Quick Click Anchors. Available with tether carriers to fit different models. 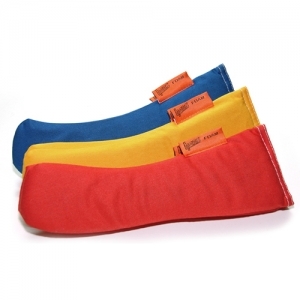 Standard Length 18″/450mm. Special Order 17″ and 19″. Call Gary.